Apple has released macOS High Sierra 10.13.2 Supplemental Update, along with Safari 11.0.2 for Mac OS X El Capitan 10.11.6 and macOS Sierra 10.12.6. The software updates for Mac aim to help mitigate Meltdown and Spectre security vulnerabilities and are therefore recommended for all eligible Mac users to install. The Mac security software updates come alongside the download of iOS 11.2.2 update for iPhone and iPad, which includes similar security improvements for those devices and are also recommended to install where applicable. Always back up a Mac before installing any system software update. 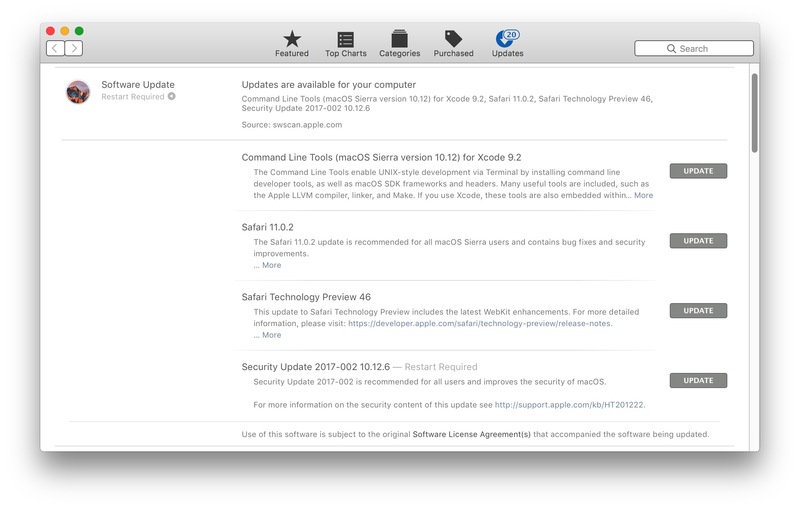 Installing the High Sierra Supplemental Update requires a reboot of the Mac, as do Security Update installations, whereas simply installing Safari 11.0.2 does not require a reboot. Mac users who prefer to download independent installers can also choose to do so by getting separate DMG installer files directly from Apple at the Mac section of the Support downloads page on Apple.com. It appears that installing the Supplemental Update in High Sierra will also update the version of Safari to 11.0.2 as part of that patch. Description: macOS High Sierra 10.13.2 Supplemental Update includes security improvements to Safari and WebKit to mitigate the effects of Spectre (CVE-2017-5753 and CVE-2017-5715). Description: Safari 11.0.2 includes security improvements to mitigate the effects of Spectre (CVE-2017-5753 and CVE-2017-5715). Separately, iPhone and iPad users will find iOS 11.2.2 available with security fixes as well. While these updates may help to mitigate attacks from Spectre and Meltdown via the Safari web browser, if you use other browsers on your Mac (like Chrome and Firefox) you will want to be sure to update them separately for their latest security patches. My AV had been blocking com.apple/webkit access on each startup of safari for a short while. Sent inquiry to AV support to ask what this might be. Replies were vague, in fact i would say they had no idea and finally suggested reinstall OS. Just interested if anyone else had this, is it related etc. I don’t think anyone runs antivirus software on a Mac because they don’t have the vulnerabilities Windows machines do. Rather than reinstall your OS, I suggest you turn off your AV. No, really, that’s what you should do. Antivirus software on the Mac is unnecessary, the Mac does not get viruses like Windows does. The big problems that come to the Mac are warded off by Apple. The remaining shams to look out for typically only impact the web browser like Safari or Chrome by hijacking it with garbage extensions and other stuff that may try to sniff web data. For example I recently fixed a relatives Mac that they thought had a virus, but it was just a garbage extension that had weaseled itself into Chrome by trying to get updates to Flash Player from a source other than Adobe – probably from one of those shady pop-ups you sometimes see. Remember that Chrome already has flash installed by default, so this is just garbage in the first place. Never install software from anyone other than the developer or a place like the App Store, and you can avoid that kind of thing. If you don’t visit shady websites and download or install shady stuff, don’t torrent, don’t install junk, don’t participate in the dubious web, etc, you really don’t need a Mac Antivirus app at all, it will slow down your Mac and there is not much to protect you from that Apple does not already cover or common sense would ward off. Does anyone know if there will be kernel security updates for El Capitan concerning Spectre and Meltdown? Because the problem is not just about the browser. ok, Apple just shipped the second beta of a security update, so thy are working on it. Great! There is no known meltdown security patch for El Capitan other than Safari 11.0.2, perhaps they will release one. Does anyone know if slowdown will occur on Macs if we install any Intel/Apple updates as was suggested when this news broke? TIA! This security patch is STILL not appearing in App Store users in SE Asia (Thailand) after 3 days! Thank you for posting this because I haven’t even installed Sierra on my 2015 iMac because I was concerned about the negative effects. I have a 2010 MacBook Pro that I updated some years ago and since that update it takes forever to get to the opening screen after I turn it on and it doesn’t connect by bluetooth anymore. So I just leave it on now and only turn it off periodically. It was perfectly fine (and super fast) before I updated it. I also have the iPhone 7 plus. I recently updated it and now my email uploads slowly, the battery drains faster, and it doesn’t work as fast as it did before the update. I’m done with updates and Apple. They sent out an update for my iPad…not happening though. They keep fixing what isn’t broken and I think it’s on purpose so we have to upgrade to the newer models. Nonetheless, no more updates for me. 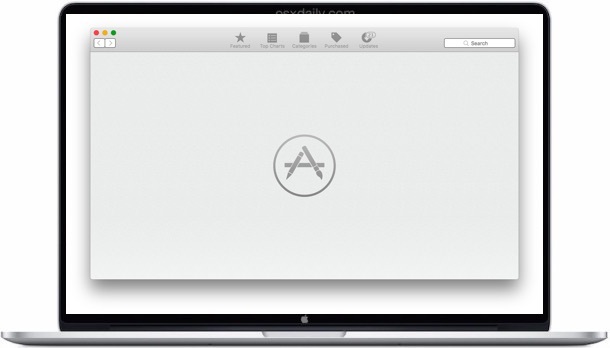 I’ll just buy a new computer when I’m ready…not when Apple is ready.